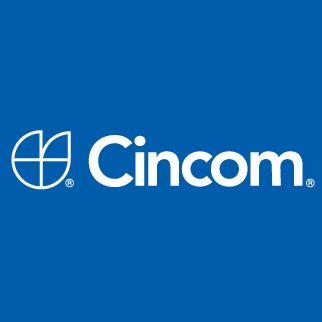 For nearly fifty years Cincom has provided enterprise management software and services for global manufacturing, sales, and professional services companies. Cincom's suite of products includes product configuration, quoting, document management, and integration with Microsoft Dynamics. Cincom ChannelStream is a flexible, scalable and cost-effective document management system designed to help the integration, organisation and delivery of document output streams. Cincom Control is an end-to-end Business Operations Management and ERP solution purpose built for manufacturers facing complex business challenges. Control delivers a unique toolset, plus reporting functionality for measurable improvement in all aspects of enterprise business activitie. Cincom ECM is a reliable, easy to use web-based Enterprise Content Management system. A product developed and fine-tuned over thirty years, ECM ensures that all authorised users have ready access to digital assets, product information, marketing collateral, and more. Cincom Eloquence is a customer communications solution designed to improve the delivery and management of high-volume, personalized customer engagement. Cincom Manufacturing Business Suite is a modular solution that enriches and enhances the Microsoft Dynamics AX Enterprise Resource Planning (ERP) system. Built for companies that manufacture complex, engineered products, the platform includes many features for driving sales, managing more efficient production processes, and achieving peak levels of customer satisfaction. Cincom Synchrony is a service and support platform that helps customer-facing agents deliver a personalized, positive experience during every customer interaction. Synchrony streamlines processes, provides a central hub of current information, and unifies inside sales, field sales, marketing and support.